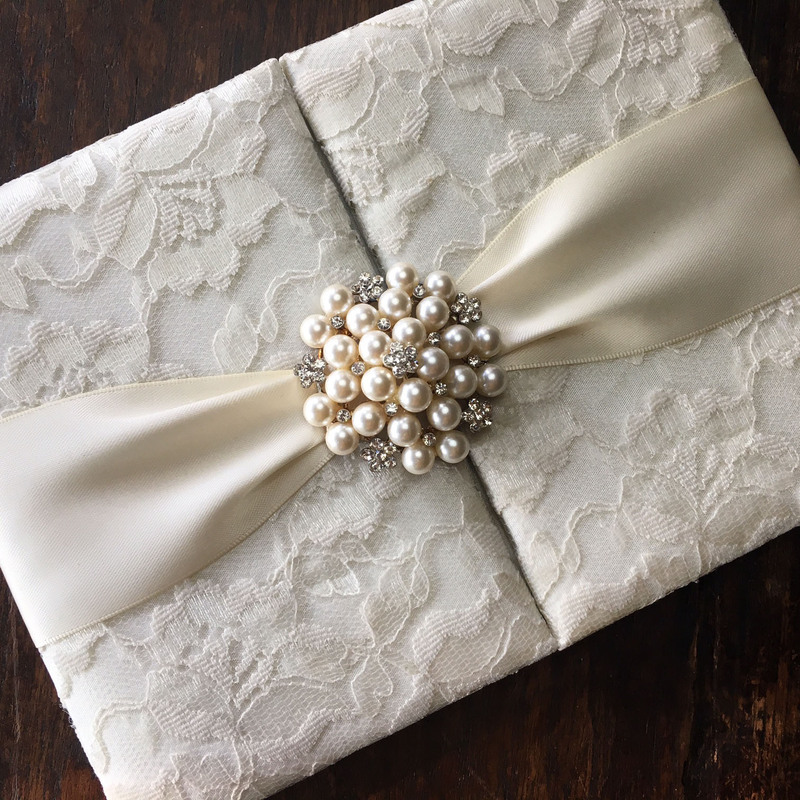 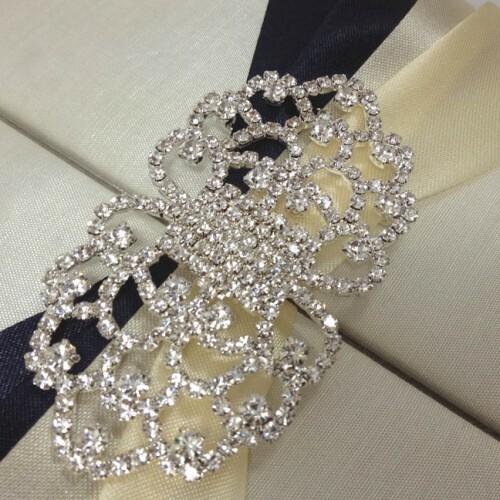 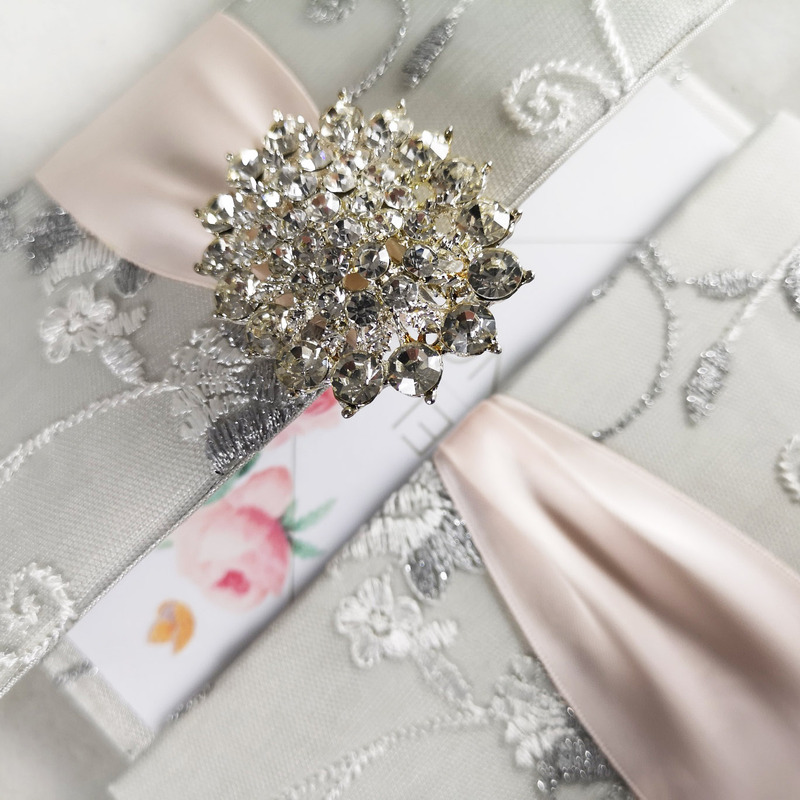 If you are sourcing for lace fabric covered modern wedding announcements, unique wedding invitations or maybe elegant stationery, this pearl brooch embellished lace invitation design by Dennis Wisser might be right. 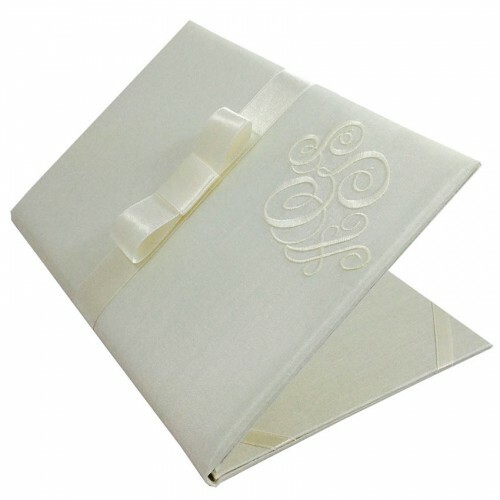 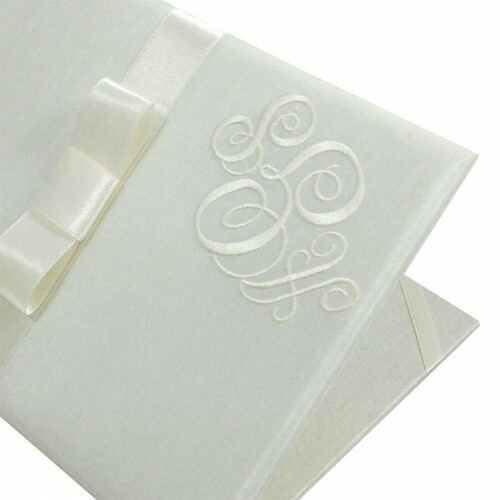 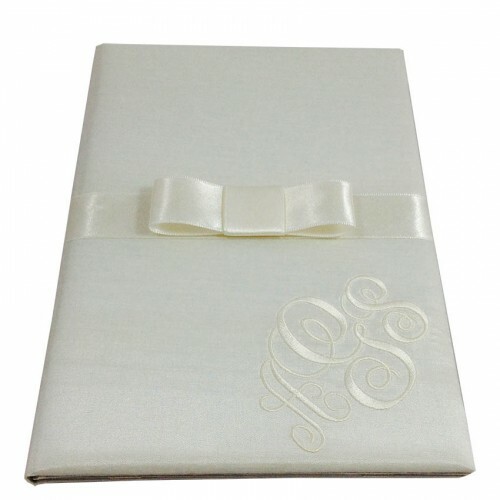 We first covered this pocket fold invitation design with ivory color silk and then placed a floral pattern lace fabric in matching ivory tone over it. 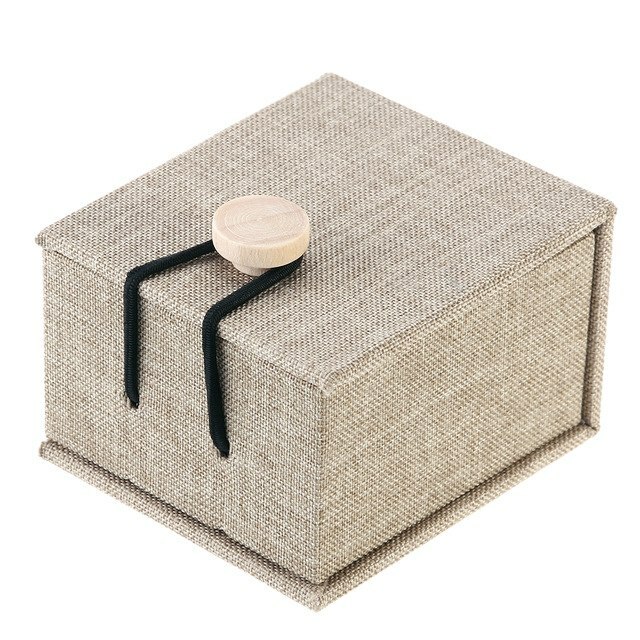 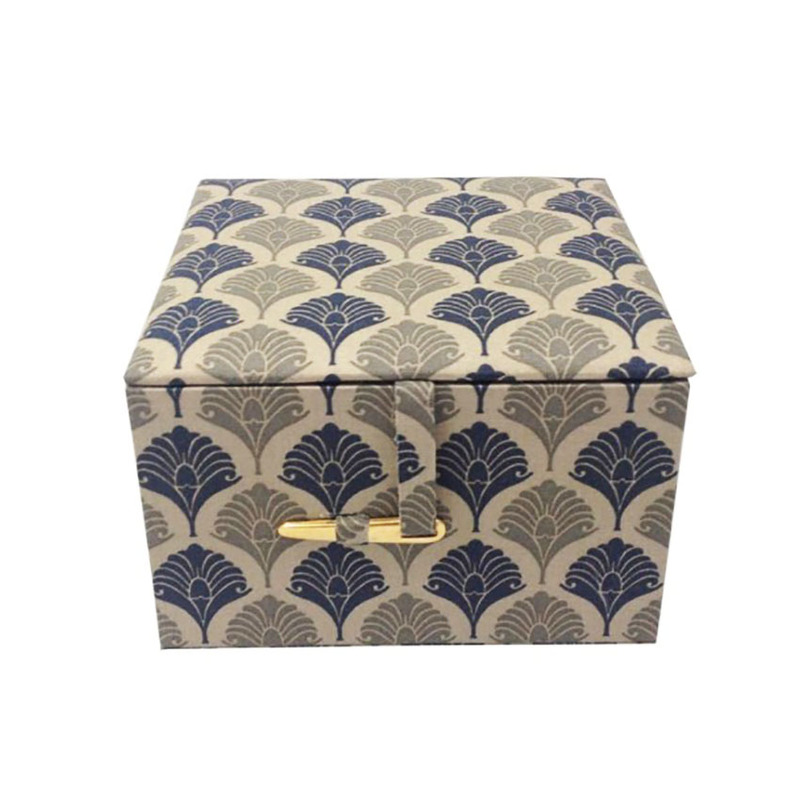 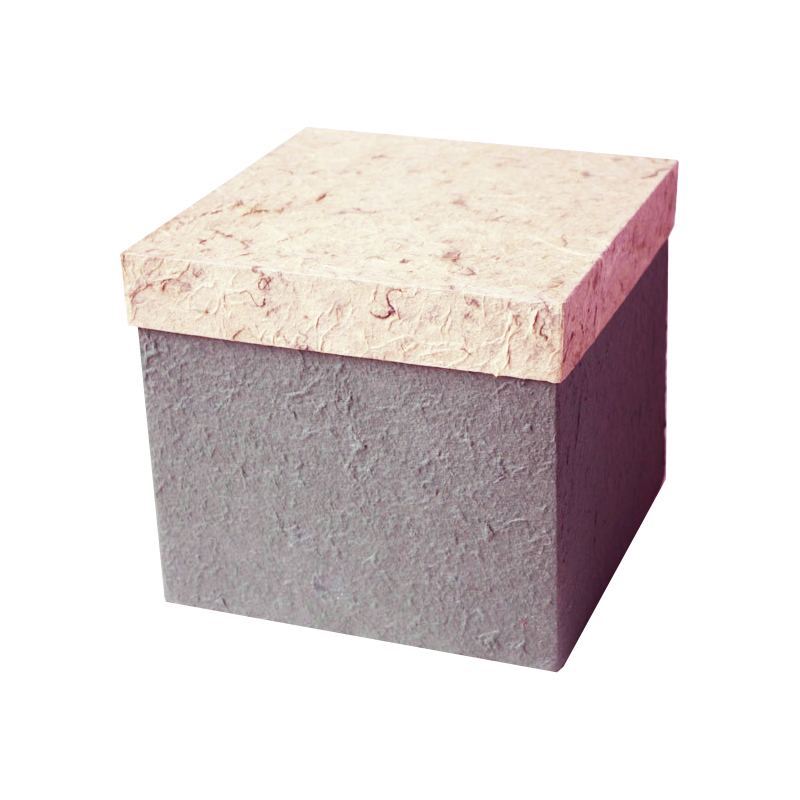 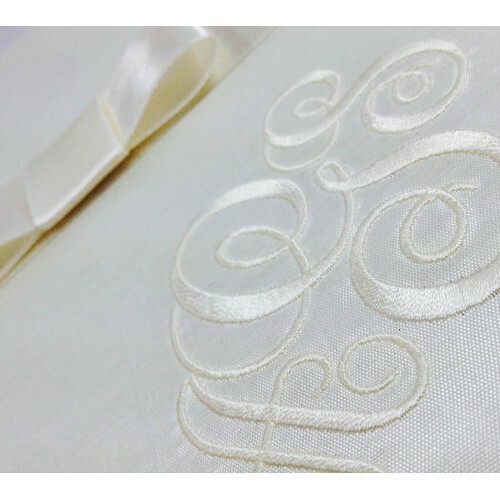 The interior can either be also covered with lace or kept with ivory silk. 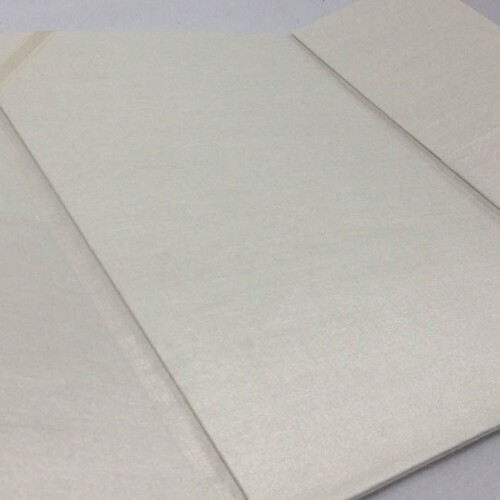 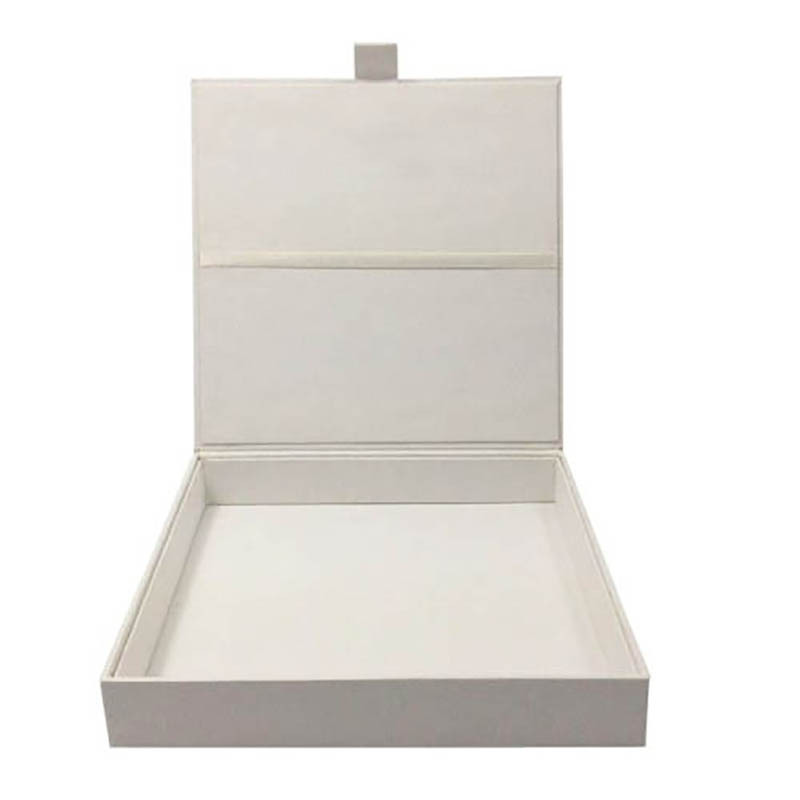 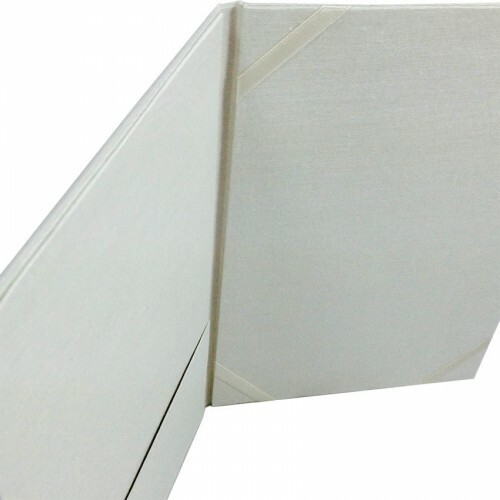 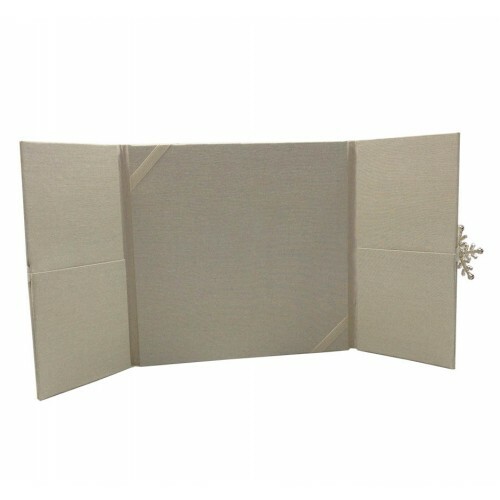 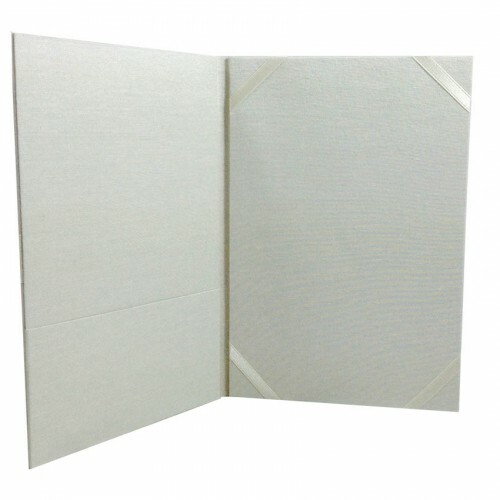 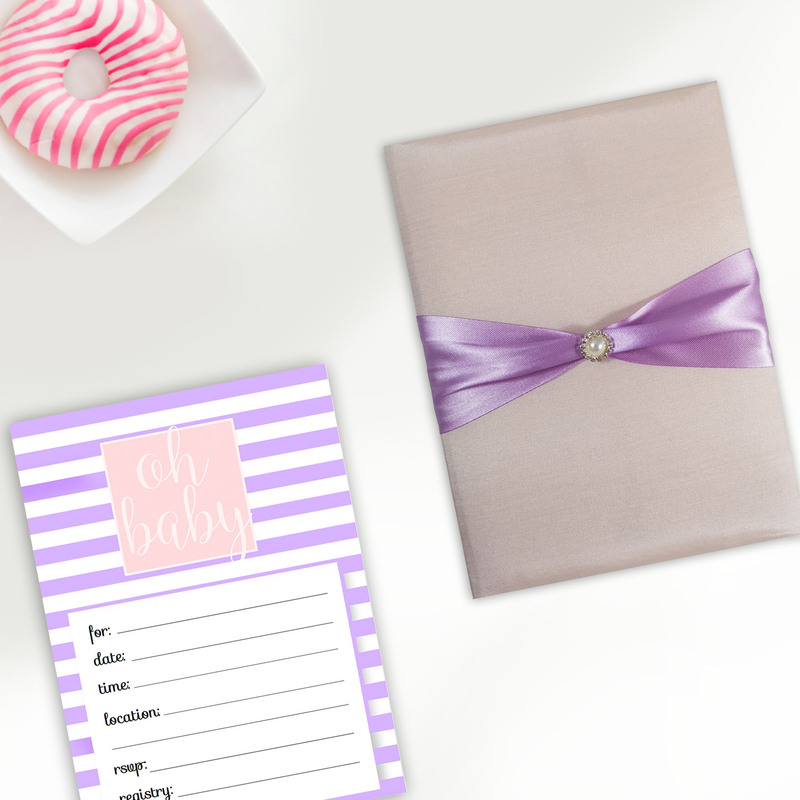 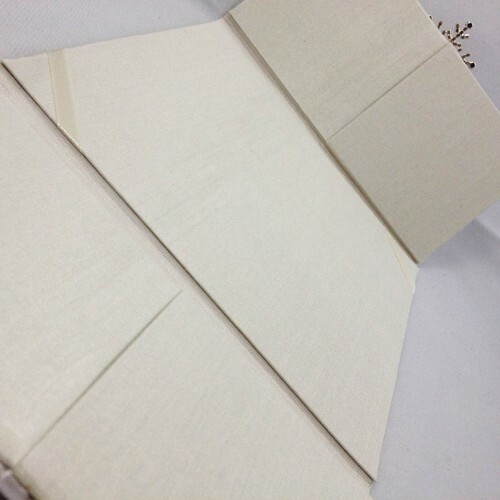 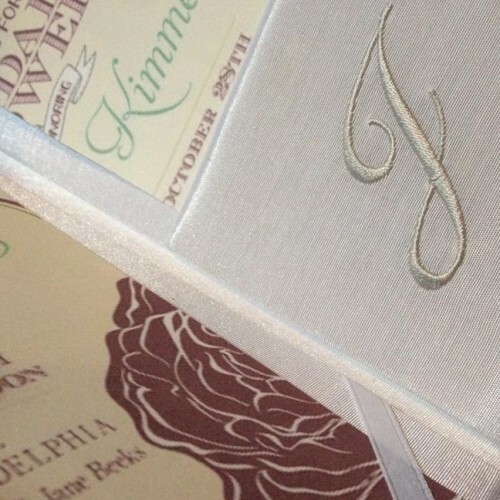 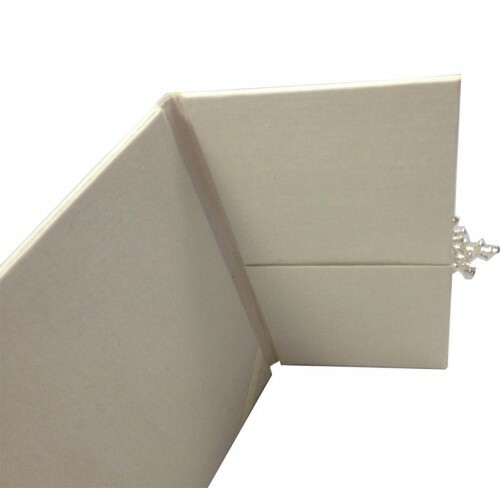 This invitation design comes fully padded with pocket holder for RSVP cards and ribbon corner holder for the main wedding or event announcement card. 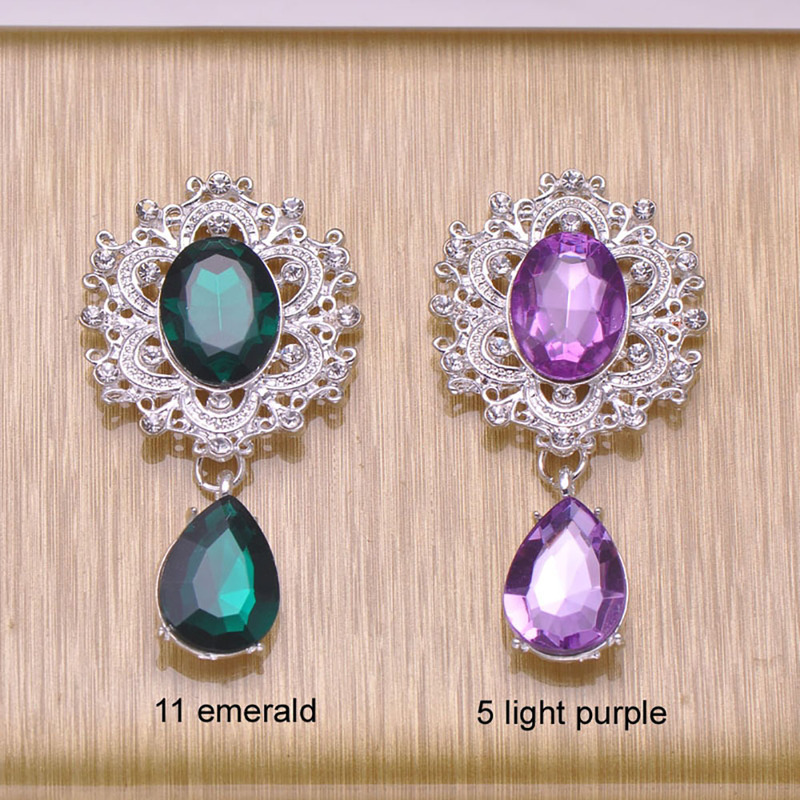 Customisation of color and size is welcome. 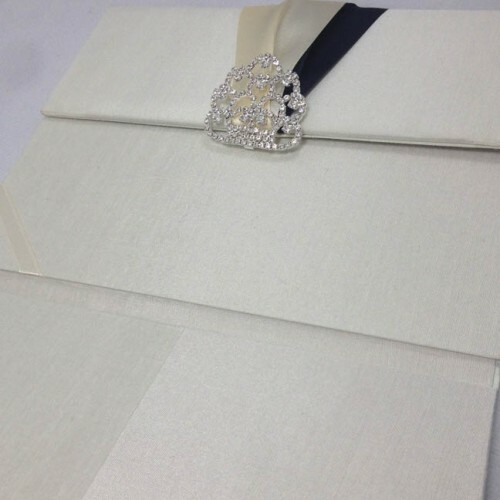 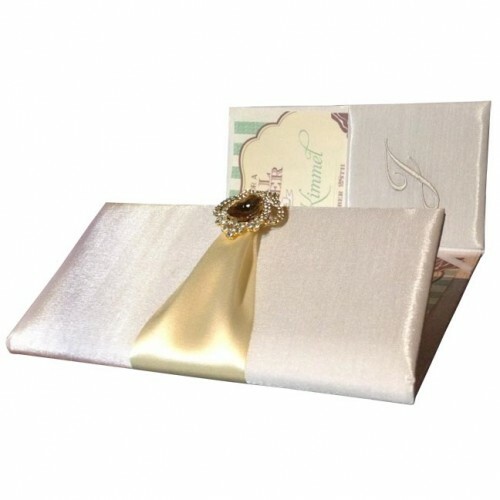 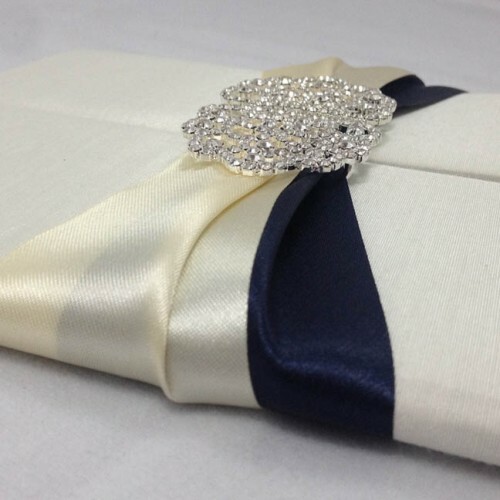 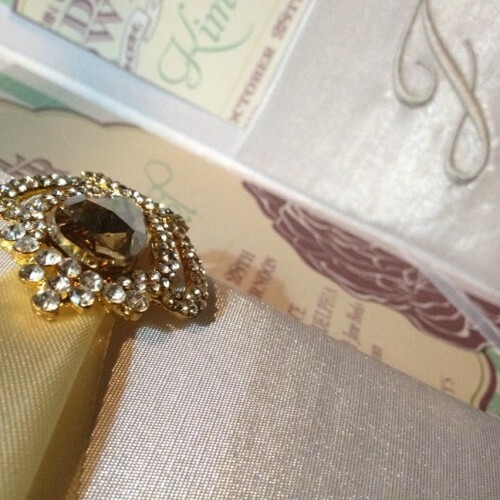 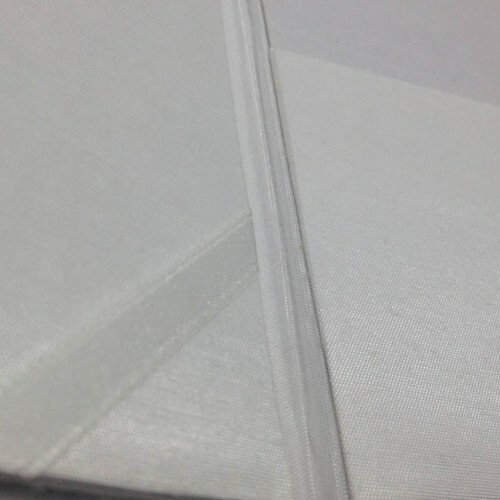 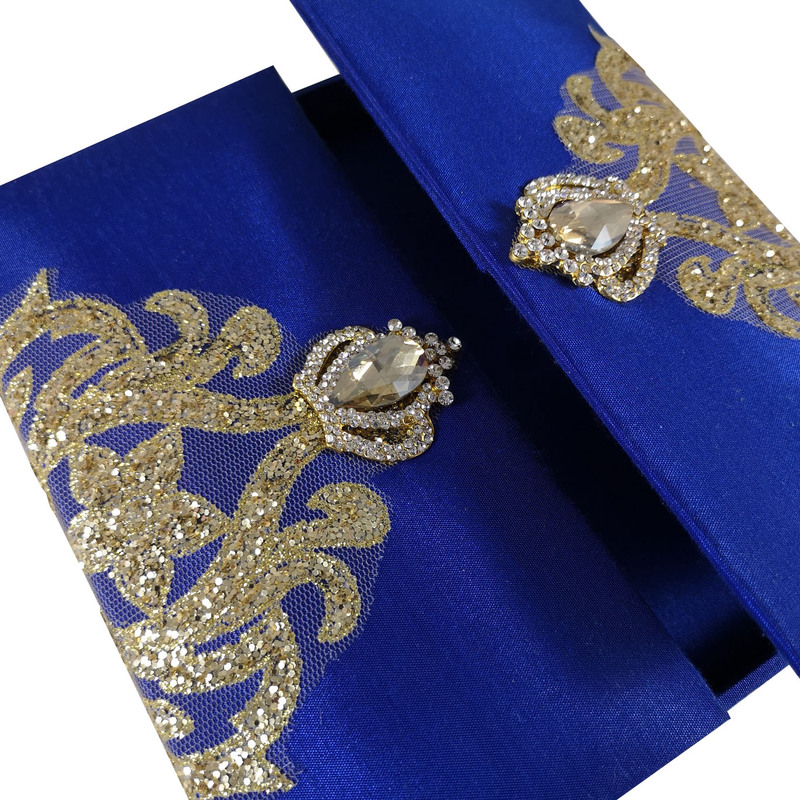 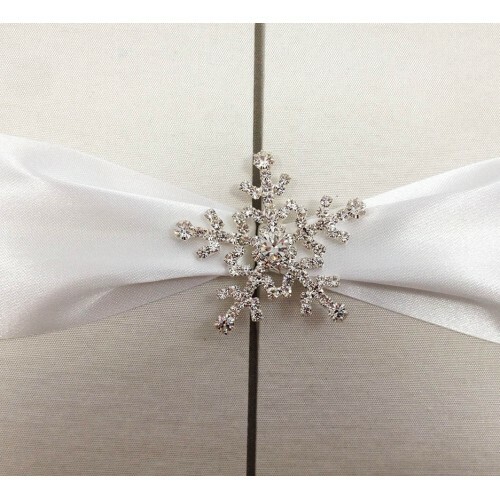 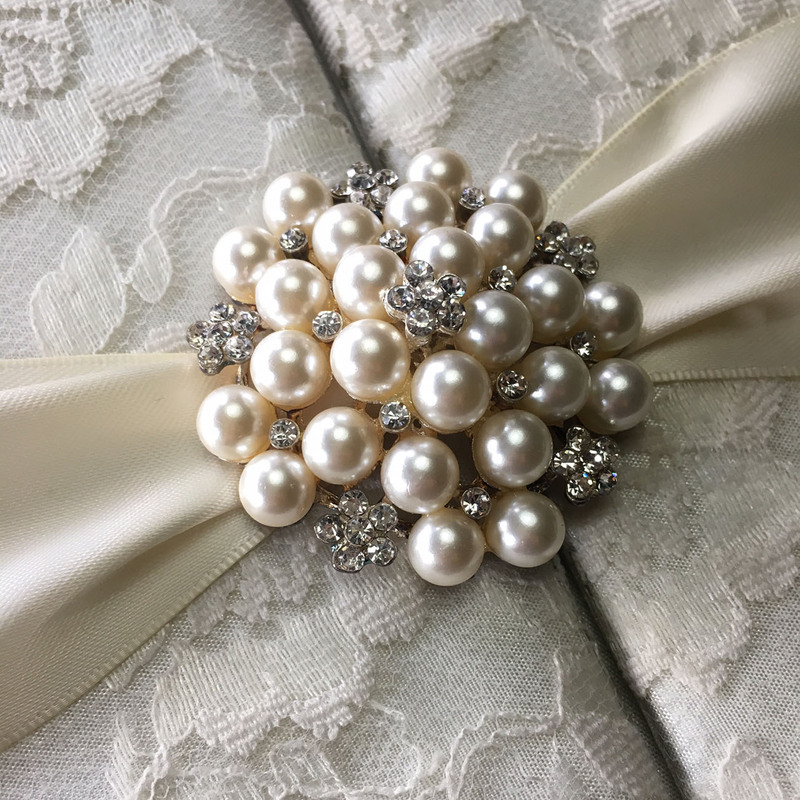 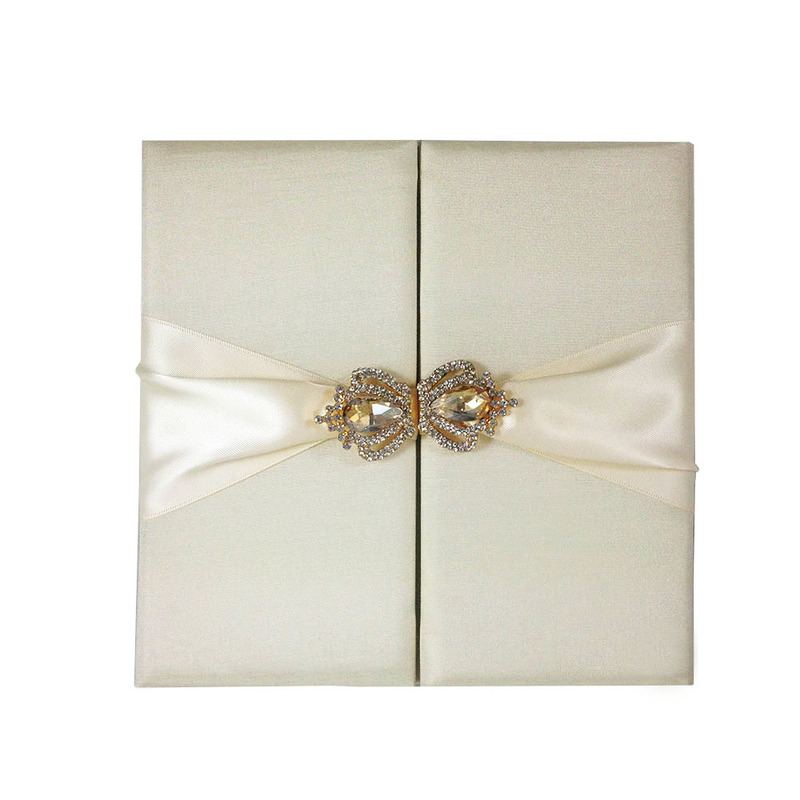 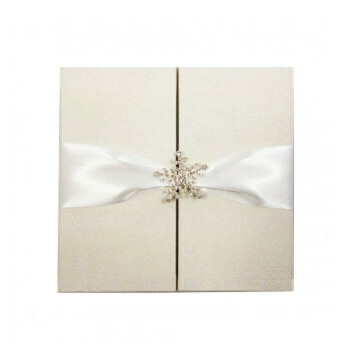 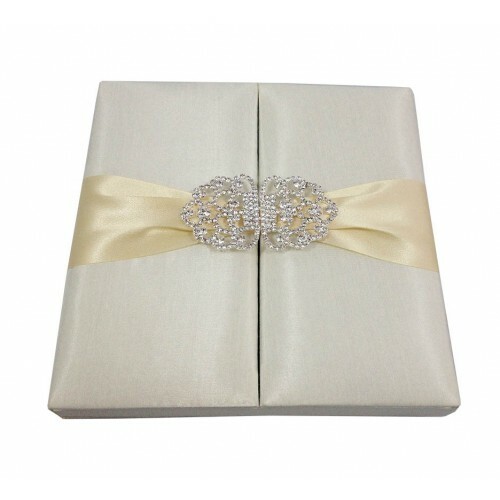 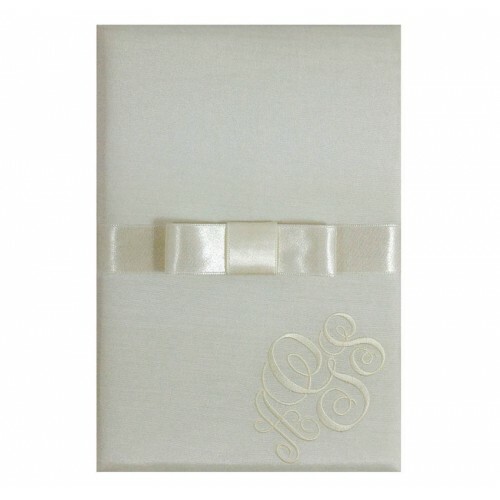 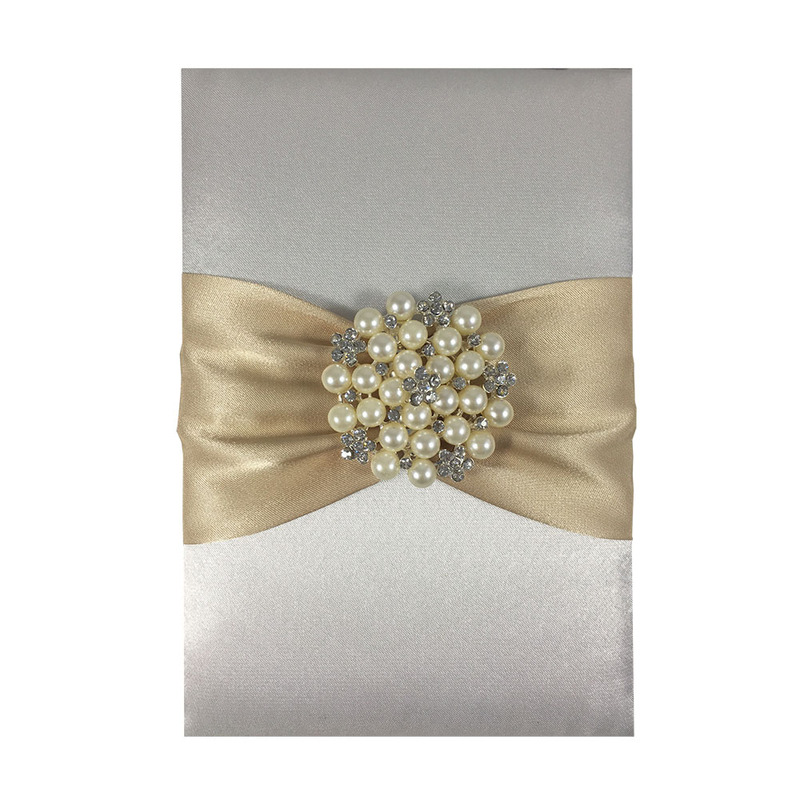 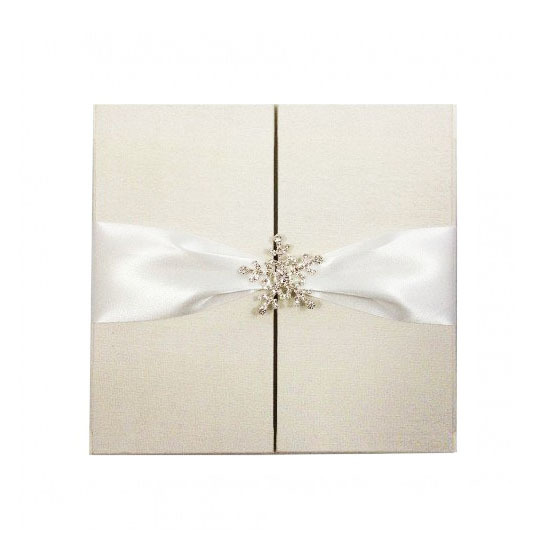 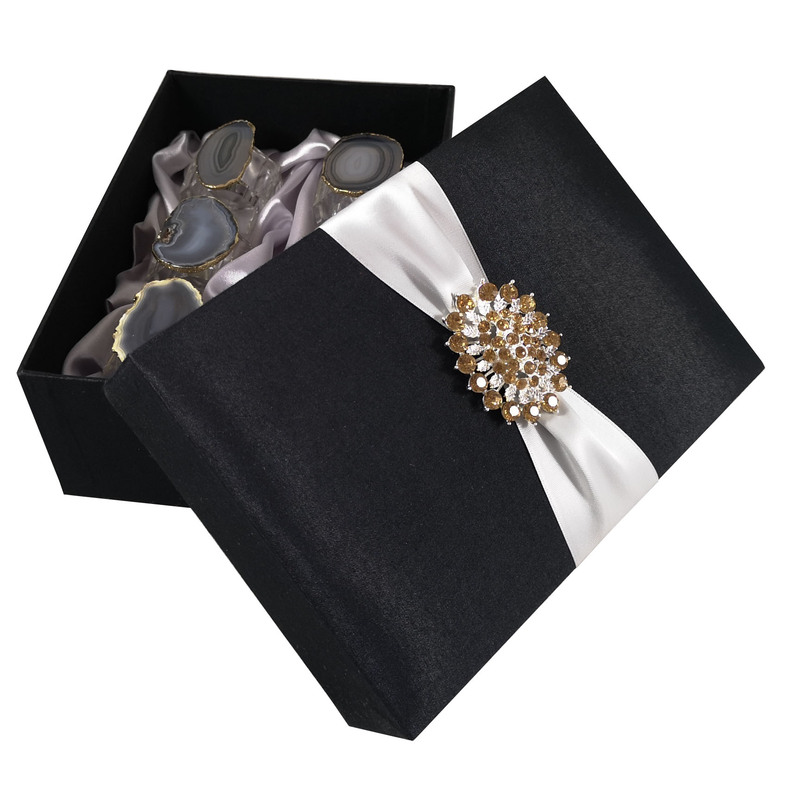 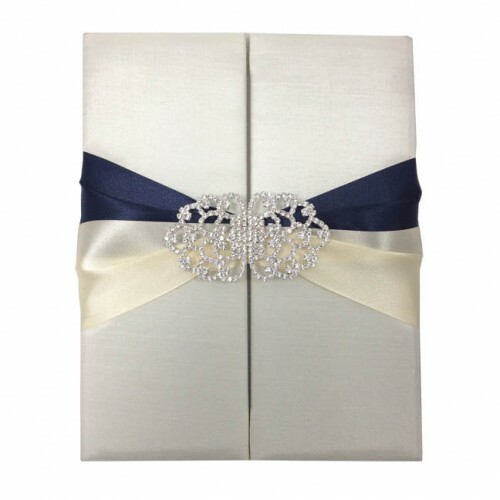 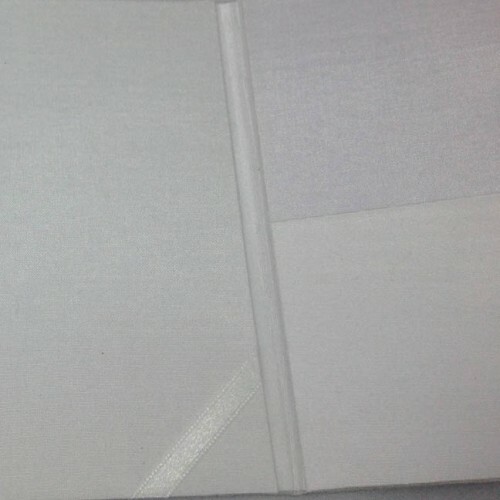 A large pearl brooch attached to double faced ivory satin silk ribbon is embellishing this folder.